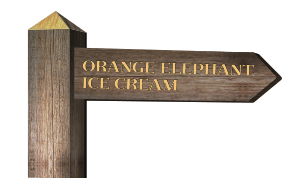 Many of our customers see Orange Elephant Ice Cream as a hidden gem in the Haldon Valley countryside, just outside of Exeter. A gem it certainly is but in order to find us we've tried to put in place adequate signage once you near Kennford village. However, we've got some directions for you just in case! 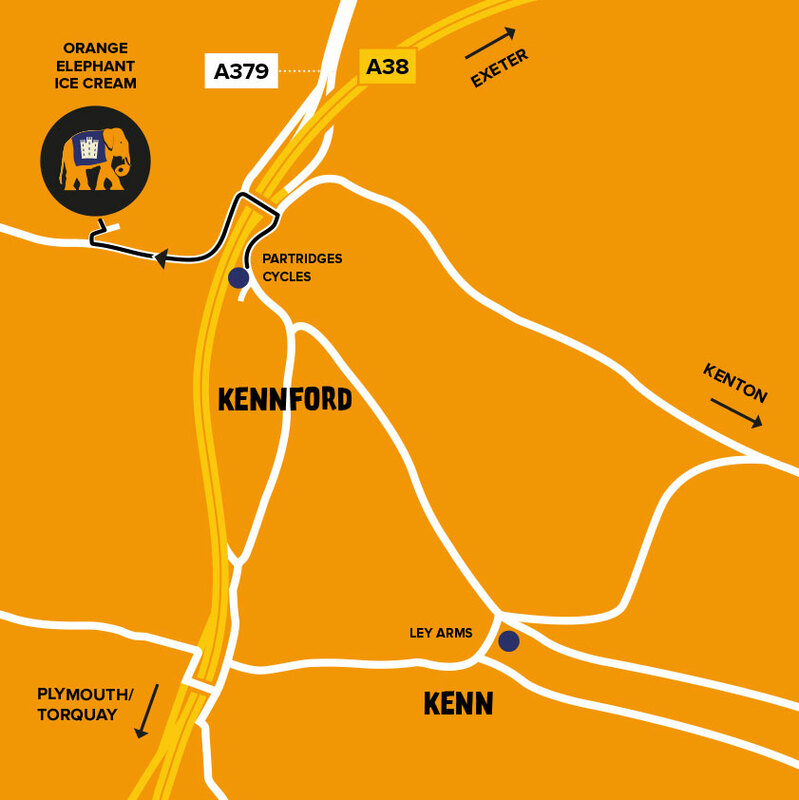 Drive to Kennford Village, then find Partridges Cycles, follow the road up and cross the bridge over the A38 dual carriageway near Partridges, stay left and drive for half a mile to Orange Elephant Ice Cream. Go towards Exeter and drive down Haldon Hill, just after Exeter Racecourse, near Kennford. 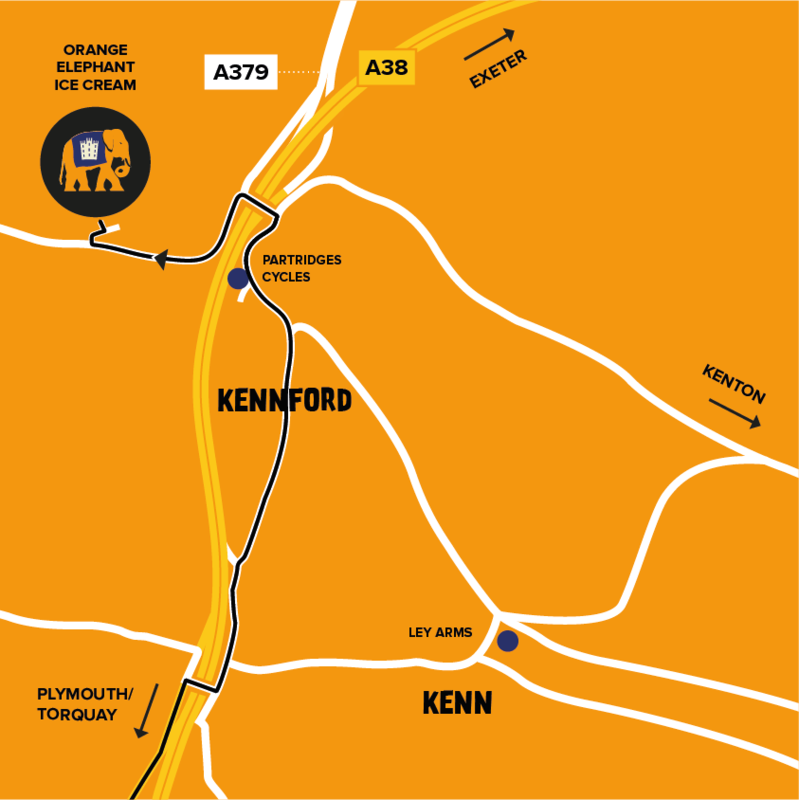 Drive past Splatford Split turn off to Kennford and take next left turn off towards Exeter (The Orange Elephant sign should be in field on left 500m before). Immediately take next left and follow farm track signs to The Orange Elephant.